Dependents of currently registered patients living at the same address, new births who require immediate necessary care will still be accepted without adhering to our limited place access and waiting list procedure. Trouble finding a GP? 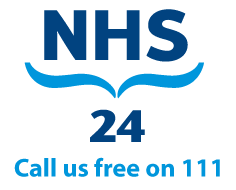 Write to PSD – Medical, PO BOX 17363, Edinburgh, EH12 1ET. They will be able to assign you to a Practice. If you are not eligible for NHS registration you can still be seen as a private patient. If you are temporarily resident in our Practice Area for up to 3 months, we will be happy to arrange an appointment for you. Please attend the Practice, Monday-Friday between 9:00-5:00pm to complete the relevant Registration Forms which are available from Reception. You must also bring with you ID in the form of photographic evidence, e.g. your passport and if possible proof of address/residency.